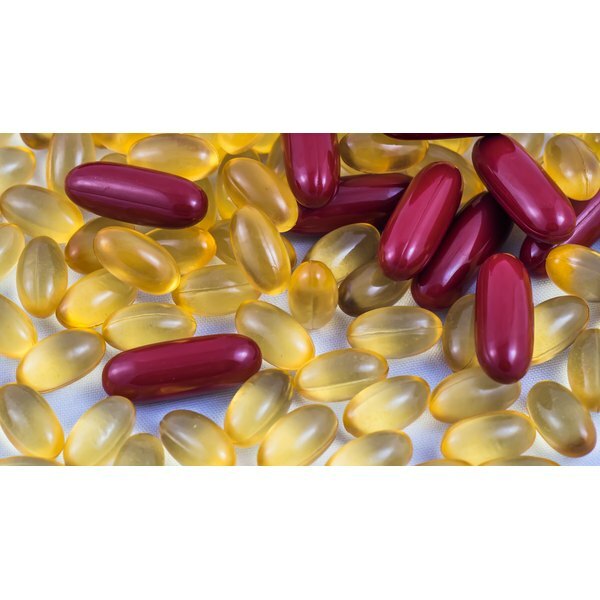 What is the Difference Between Chewable Vitamins & Capsules? Not all vitamin tablets readily dissolve, and this can interfere with their effectiveness. You can test a vitamin before ingestion. Place the tablet in a cup of water. If it does not break down in the liguid, it probably won't dissolve before entering your small intestines, where absorption largely occurs. Are Liquid Vitamins Better For You? Liquid vitamins dissolve in water immediately, so there is no need for you to be concerned with whether the vitamin will dissolve. Liquid is absorbed at a 98 percent rate versus compared to its pill counterpart, which has a 10 to 20 percent absorption rate. Do You Benefit From Liquid Vitamins? It all depends on what nutrient it is that you are taking in liquid form. Nutrients are absorbed several ways, through the lining of the small intestines, sublingually through the mouth beneath the tongue, by injection directly into the bloodstream, and through the lining of the colon, which would come in the form of a suppository. What they don't tell you are that a lot of molecules of nutrients are to large to be absorbed through your mucous membranes. How do you know if a vitamin has "nutraceutical" qualities. The best way to be sure that the supplement that you purchase is of high quality is to look for this symbol on the packaging, "USP Verified." This guarantees that the product has passed all of the tests implemented by the US pharmacopeia and that it has satisfied the dissolution and content testing. Inexpensive or "cheap" vitamins can end up being digested and released in the stomach where they will most likely be destroyed by the acids contained in your stomach, resulting in a high percentage of the vitamin being excreted out of your body. If the vitamin is "nutraceutical" or a higher end product then it is more likely to be absorbed in the small intestines where your body can enter the bloodstream and serve their purpose. Now that you have read you are probably wondering what would be the best choice for you to ensure that you are getting the proper nutrition that you need without wasting your money more importantly and your time. Before you purchase any supplements do some research to determine which will suit your purpose better liquid vitamins or vitamins in pill form. S. Brooke White began writing in 2007. She has experience in personal training, clinical trial nutrition, as nutrition director at a nonprofit agency and as a surgery center nutritionist supporting clients in reaching their weight loss goals. She holds a bachelor's degree in nutrition from Bastyr University and a master's degree in nutritional science from California State University, Los Angeles.